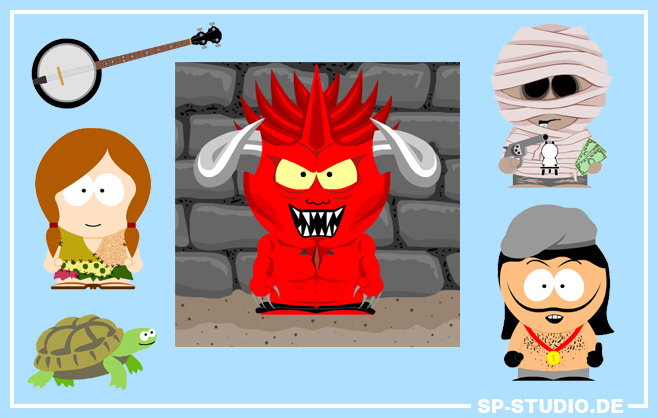 SP-Studio Community • View topic - BIRTHDAY MONTH @ SP-Studio.de! Board index ‹ SP-Studio.de ‹ Announcements ‹ BIRTHDAY MONTH @ SP-Studio.de! Thanks to all my visitors! Wow... when I first got the idea for this website in the year 2001 I did not expect it to become so famous and a big part of my life for over 10 years. The first version was released in May 2002 on my South Park fanpage www.planearium.de. Unfortunately I do not remember the exact date. So let's celebrate the whole month! I plan to release some special updates. I am not telling more right now, but keep an eye on this topic and you won't miss anything . The first thing related to the birthday month is the new contest . Re: BIRTHDAY MONTH @ SP-Studio.de! It's a pleasure to be a part of this ride. To another ten years and onwards! yep a whole decade of sp-studio, i would have been 4 when it started to put in into perspective.. I've searched the oldest pictures made with SP-Studio and are dated in July 2007... almost five years! Congratulations Janina, and Thank you for creating this fantastic site. Cheers! Here is a little "Behind the Scenes" text I wrote for the birthday month. I added some pictures on how I work on the SP-Studio and uploaded the old version from 2002. You can find it in the News . It's great to have available the oldest version of SP-S () in the 'Aniversary special making-of' section. I think that it would be a good idea for the next contest to use this older version to make the pictures. I am not sure about it. You couldn't even move the parts around, so I guess it would be a bit boring . The big birthday update will be online in a couple of hours. I am still drawing the last items because my target is to include new items for EVERY CATEGORY - let's see if this works out . And some of the items will be related to a certain event... well... you will see. Guess I won't see it until tomorrow, though, if it's really a couple more hours. Oh I am pumped for the update. I always underestimate the time... it will take about 12 hours until it is online. Sorry, I am getting too tired right now. But it will be worth waiting I hope . To celebrate the 10th anniversary I prepared a huge update for you: New items in every category! 22 new clothes, hair-styles, fashion accessories and body parts are waiting for you. And because it is the release date of Diablo 3 today some objects are inspired by the Lord of Terror himself. I hope you enjoy the update! And don't forget today is the last day to join the birthday contest! only it would be cool if you can turn the hand of the thumb to the other side of the guy. Wouldn't it be easier to just comment int the Announcements section? Oh man, those new eyes are awesome! I can see myself using them a lot. Thanks for the fantastic update, Janina! Awesome update Janina! Probably my favourite so far! Nice to see that you like it! By the way, you still have another free wish from the last contest. All these additions are really incredible.